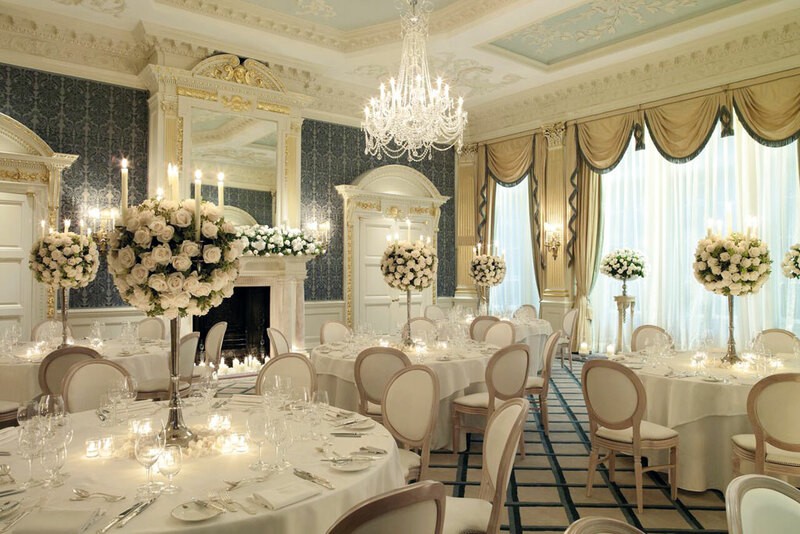 Looking for the best wedding venues in London? Here, we bring you the ultimate round-up of the most beautiful luxury wedding locations in the capital, for the ultimate town wedding. A Victorian conservatory, bandstand, or modern pavilion, the choice is yours at this anthropological museum. The collections are idiosyncratic, but the weddings by Suzanne James are seamless. 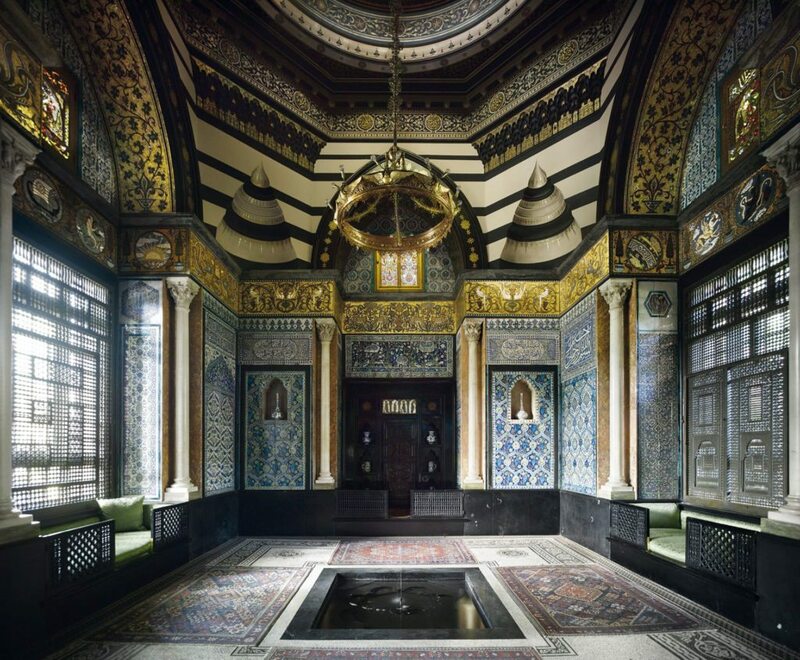 The former home of the Victorian artist Lord Frederic Leighton is an awe-inspiring palace of art. The extraordinary Arab Hall, with its golden dome and mosaic tiles, offers the ultimate backdrop for a unique yet lavish reception. If you’re reluctant to ship your cohort out of London but fancy a country house feel, this solves all your problems. This recently renovated Grade II listed marvel has vast windows that offer scenic views across the park. 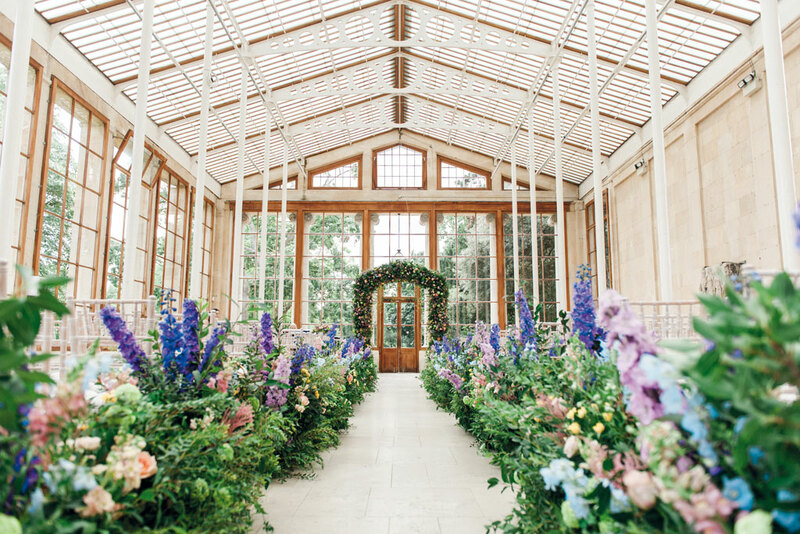 Spend your special day inside the world-renowned gardens and iconic buildings in Kew and dance your evening away with some of your nearest and dearest alongside the blooms. Providing classic and contemporary weddings in the heart of London for over 150 years, Cafe Royale certainly know what they’re doing. So sit back, relax and let them do the magic.. This Tudor style hall was built in the 1920’s and is the perfect example of a beautiful country house which sits in the City of London. Its striking architecture, rich history and warm atmosphere are just three things which make this venue perfect. Conveniently located between Hyde Park and Oxford Street, Home House can provide a stunning backdrop for your special day. Both civil ceremonies and receptions can be hosted in this breath-taking location. Say ‘I Do’ up in the clouds and spend your big day in one of London’s most iconic buildings, surrounded by striking 360 degree views of the city. The breath-taking space is located on the 39th and 40th floors of The Gherkin and offers one of the most elegant and private settings around. Invite 140 of your friends and family to celebrate your day and experience culinary delights up in the sky, whilst sipping champagne naturally. Have your first dance as a married couple whilst the sun goes down over London’s beautiful skyline. Just a stone’s throw away from Regents Park station is the beautiful, Grade I listed One Marylebone, one of London’s leading unique venues. Only one of only three London churches by Soane, the venue is most architecturally distinguished with a beauty of national and architectural significance. Fall in love with the beautifully landscaped gardens and breathtaking courtyard and choose between two exclusive spaces for your perfect day. The 27 foot high Soane Hall with its stunning mosaics and stained glass windows or the U-shape Galleries with marvellous floor to ceiling windows that let in natural light. 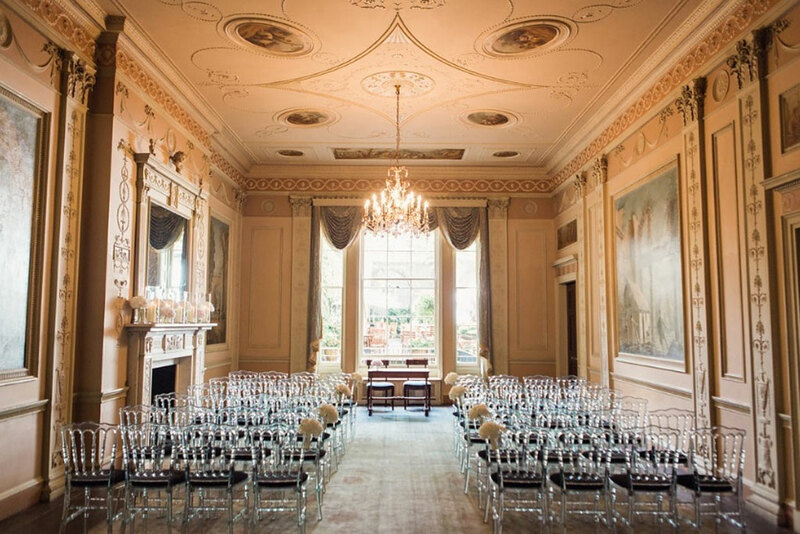 The perfect place for a quintessential London wedding, Dartmouth House features only the most elegant interiors to wow your guests on your big day. The Grade II listed building offers three spaces: The Long Drawing Room, The Small Drawing Room and The Churchill. Each room has seating for around 100 guests and standing room for 450. The mansion also has a courtyard, a private and secluded haven if an open air reception is more your style. Situated in the heart of Mayfair, the mansion features a grand marble staircase to make sure you get all the insta-worthy wedding shots. 10 Best Wedding Dress Designers. Walk down the aisle inside London’s Natural History Museum. Breath-taking architecture and spectacular collections make for a stunning backdrop to your vows. Choose between eight spaces in which to host your event: from the popular Hintze Hall with its romanesque arches to Fossil Way, home to the giant Stegosaurus fossil, or even the North Hall, the perfect place to soak up the Museum’s grandeur. Feel like a real-life princess and get married inside Britain’s first and finest classical building. This unique wedding venue takes its place inside Greenwich Park and offers sublime views over the Thames and Canary Wharf. A masterpiece of 17th-century architecture, the venue comprises is a spacious 40-foot Great Hall with classic black and white geometric marble flooring on which to dance your night away. The marvellous Orangery, Parlour room and the vaulted Undercroft are the most perfect place to toast to a happy couple. Click here to read the C&TH Ultimate Wedding Guide.